Bay Cliff01970 871722work Self-cateringBay Cliff occupies one of the finest positions atop Borth's cliff, with spectacular views acrosss the bay and coastline while being only a few minutes walk from the sandy beach. The property has been completely re-furbished to provide the highest standards of comfort and conveniece. The seaside village of Borth offers a range of good supermarkets, coffee shops, pubs and take-away establishments. Ground floor accommodation includes a large, newly installed kitchen and dining area, lounge and sun lounge both with sea views, front double bedroom also with sea views, second double bedroom, walk in shower and separate toilet. 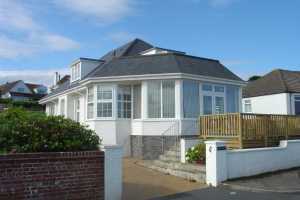 Upstairs is a en-suite double bedroom, twin bedroom and large family bathroom with walk in shower plus bath and toilet. All bedrooms have flat screen TV's, while the lounge has a large flat screen TV with access to Sky Sports, Freeview, DVD player, ipod dock and broadband. There is a lawned rear garden with garden furniture and BBQ and also a decking area at the front for you to sit and enjoy the fabulous views of Cardigan Bay. 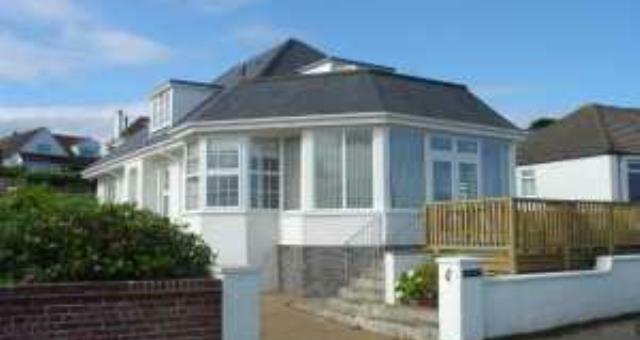 Bay Cliff occupies one of the finest positions atop Borth's cliff, with spectacular views acrosss the bay and coastline while being only a few minutes walk from the sandy beach. The property has been completely re-furbished to provide the highest standards of comfort and conveniece.